Leviathan: Warships, a turn based naval combat game, was released last week on PC via Steam. This week a tablet version is now available on both Android and iPad for the price of $4.99. All of the versions support cross platform play so you'll be able to pick up and play with just about anybody at anytime. The entire game can be played in co-op and it also offers a handful of co-op challenge maps to play. You can even utilize cloud save and start on one device and finish the game on another - nautical! Before Leviathan: Warships was released it was promoted with a unique trailer - titled "Jazzy" it featured a smooth talking voice over with some mood setting jazz in the background. It also featured a shipload of puns based on nautical references. Shortly after the release of the game on PC, a sequel to the Jazzy trailer was also made available. Here they are for reference. These trailers have gone over so well that Paradox Interactive have announced a set of free DLC will be made available for the game which showcases the smooth talking voice over and jazzy style music of Jazz Boatman. All platforms will be receiving this DLC in the near future, though a date hasn't been announced. 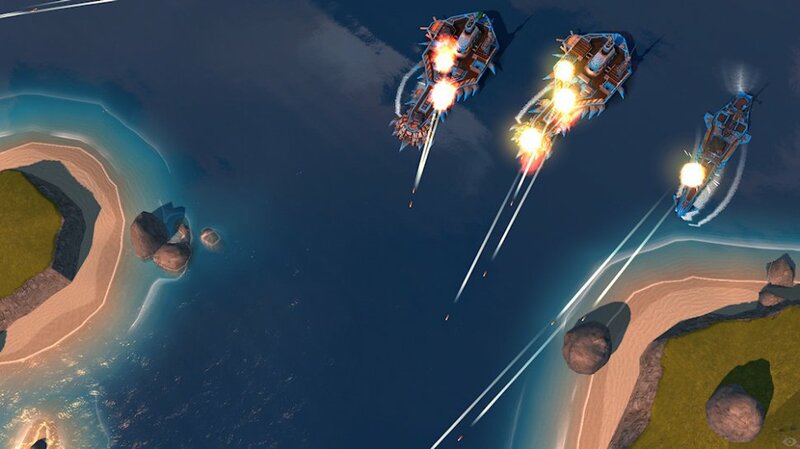 Leviathan: Warships is out now on PC, iPad and Android. It features four player online co-op play, ship customization, turn based combat, and a boatload of puns. Page created in 0.8775 seconds.